The inspector was knocked down and killed by a military horse during Commonwealth of Australia celebrations at Centennial Park, Sydney ( 1 January 1901 ). At the time he was supervising 200 police who were maintaining order amongst a large crowd awaiting the Commonwealth Day Procession. As the procession began, a trooper’s horse took fright and bolted into the crowd. 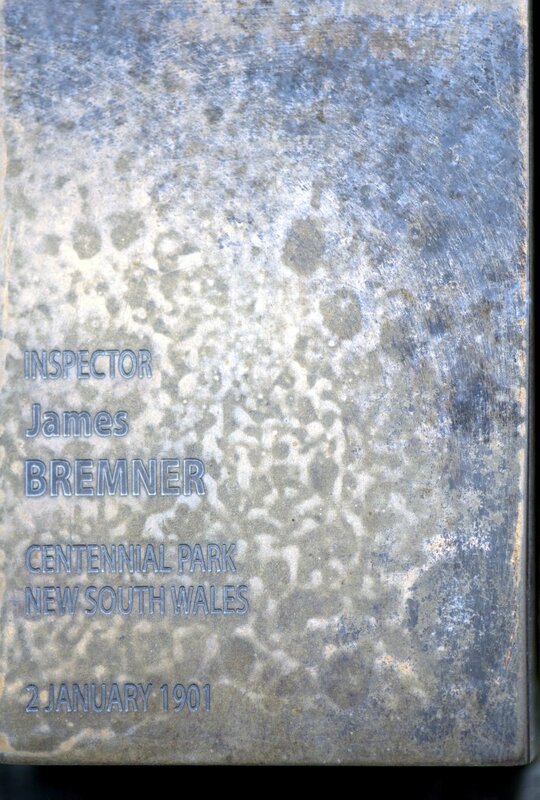 Inspector Bremner was knocked down, sustaining severe spinal injuries. He was conveyed to St Vincent’s Hospital where he died at 2.15am the following morning. He had been due to retire a few weeks earlier but stayed on to assist with the Commonwealth of Australia celebrations. The inspector was a well-known policeman in Sydney. He had arrived in Sydney from the north of Scotland some 37 years earlier and had almost immediately joined the police (about 1864). He had been the officer-in-charge of No. 3 Division for seventeen years, supervising the police stations at Randwick, Waverley, Botany and Woollahra. He was apparently a huge man of about twenty stone in weight. He left behind a widow but no children. The Sydney Morning Herald of 4 January, 1901 reported on the very impressive funeral which was afforded the inspector. FUNERAL OF THE LATE INSPECTOR BREMNER. The inspector was born in 1841 and joined the New South Wales Police Force about 1864. At the time of his death he was the Officer-in-Charge of No.3 Division (Darlinghurst).